Alcohol and Tannins in St. Emilion: Cheshire Cat Years? 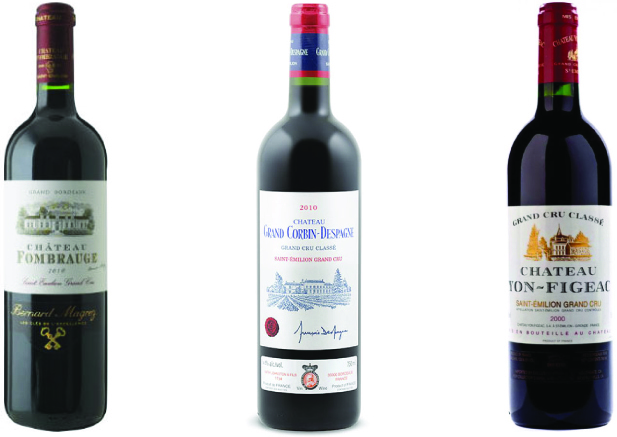 Austerity is not a word that often comes to mind in the context of St. Emilion, but it did at this year’s New York tasting of Grand Cru Classés, which compared the 2010 and 2012 vintages. This gave me much pause for thought by comparison with the tasting two years ago of the 2009 and 2010 vintages (Oenologues Triumph in St. Emilion). Last time round, the main impression (driven by 2009 but not that much different in 2010) was the softness of the palate, with fruits supported by furry tannins. This time the impression was of much tighter wines; the 2010s have tightened up, and the 2012s can verge on tough. These were not the lush, approachable wines for which St. Emilion is reputed; words like fleshy or opulent never appeared in my tasting notes. Alcohol levels were punishing, often around 15% for 2010, and a half percent or percent lower in 2012. Now that the fruits of 2010 have lost their initial youthful enthusiasm, alcohol and tannin are driving the palate. What showed as a structural backbone to the fruits two years ago now seems more skeletal. It’s fair to say that alcohol is not directly obtrusive in many wines, but it has an indirect effect in enhancing the bitterness of tannins on the finish. Some wines have an almost tart quality at the end, which clashes with the fruits rather than refreshing. The traditional generosity of Merlot in St. Emilion is largely missing, and I often get an impression biased more towards Cabernet Franc than the dominant Merlot. It wouldn’t be unfair to say that the 2012s are starting out where the 2010s leave off, with an almost sharp tannic finish often dominating the fruits. This makes me quite concerned as to how they will show in another two years’ time. I don’t often get the impression that the fruits will really emerge when the tannins resolve. Most chateaux have managed to achieve decent ripeness in the tannins, but occasionally you get suspicions of green. The 2012 wines have less alcohol than the 2010s, but they also have less fruit concentration, so the problem of maintaining balance as the fruits thin out is more or less equivalent. The fruits make them seem like wines for the mid-term, but I’m not sure the tannins will resolve in time; and they don’t have the stuffing for the long term. You might expect the greater fruit concentration to let the 2010s resist better, and I’m not so much worried about whether the fruits will outlast the tannins, which are mostly quite fine, but I have a concern that 2010 may be the year of the Cheshire Cat: what will dominate when the tannins resolve is the grin of the alcohol. Very few of these wines, from either 2010 or 2012, are ready to drink: most need from two to four years more. Of course, this situation would scarcely be a surprise to any survivors who remember Bordeaux of the pre-1982 era. I will say that I saw more evidence of character in these wines than in the 2009s (and the 2010s two years ago) when there seemed to be a sort of interdenominational quality to them: the present question is whether you can handle the character of a bitter tang at the end. There’s evidently quite a lot of extract in today’s wines, and it’s hard to say whether that will give them the stuffing to develop well as tannins resolve, or whether it will remain awkward. In most cases, I preferred the 2010 to the 2012, but in those instances where I preferred the 2012, it was usually due to lower alcohol letting the fruits speak more freely. My favorite wines were Chateau Fombrauge and Grand Corbin-Despagne in 2010 and Chateau Yon Figeac in 2012. Slightly nutty, soft impression from nose. Palate well balanced between black fruits and refreshing acidity; still something of a tannic bite at the end. The structure is there but not obtrusive, and the overall impression is refined, showing precision in the fruits. 91 points, drink 2016-2027. Some black fruits poking through restrained nose, leading into good balance on palate between refined black fruits and tannins with chocolaty overtones. A little tight at the end but should soften in next year or so. Refined impression avoids the bitter tang at the end of many wines. 90 points, drink 2016-2027. More sense of black fruits and spices than in the 2010. Refined palate makes an elegant impression, with a touch of tannin at the end. I like the sense of precision in the fruits and the balance. Fine structure should offer some support for aging. 90 points, drink 2017-2026. Domaine Leflaive has become very grand. The first time I visited, twenty years ago, things were casual: I called the domain when I was in Beaune, and made an appointment to visit that afternoon. I met with Anne-Claude Leflaive, who had recently started the experiment with biodynamics, and we had a long tasting, punctuated by discussion about potassium levels in the soil (a sensitive issue in Burgundy at that time, as much of the soil had been poisoned over the previous decades). This time, an email to the contact address on the web site produced an automated response to say that there are no direct sales to new customers, no visits for consumers, and professionals should contact the local importer. 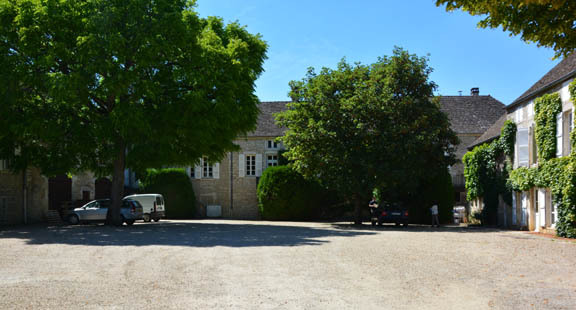 Once you arrive in Puligny, you have to know where to go, as there are no signs to the domain, and no nameplate at the entrance; perhaps to discourage casual visitors, there’s a line with domestic washing hanging up at the entrance to the rather grand courtyard where the domain is located in the Place des Marronniers. But just to complicate matters further, the Place des Marronniers no longer has any chestnut trees and has been renamed the Place du Pasquier de la Fontaine, perhaps to represent its gentrification with a fountain. This is a sad turn of events for an area proud of its history. But the wines of Domaine Leflaive are more splendid than ever. Domaine Leflaive was one of the first to take up biodynamics, is probably the most ardent biodynamic practitioner in Burgundy, and has been fully biodynamic for almost twenty years. From 1992 to 1997 there were experiments in which some vineyards were organic and some were biodynamic, and the wines were bottled separately. As a result of the trial, Anne-Claude decided in 1997 to go biodynamic. That was a difficult vintage when acidity generally dropped fast, says general manager Antoine Lepetit, but the biodynamic vineyards retained acidity better than others. Better acidity has continued to be one of the main benefits of biodynamics. Winemaking is fairly traditional, with everything going into oak, a delay of about 6 days before indigenous yeast start fermentation, and then a delay of some months before malolactic fermentation happens. (Because Puligny has a high water table, cellars are above ground, so temperature responds to external conditions and it’s too cold for malolactic fermentation over the winter.) After a year in barrique, there is assemblage, and then the wine rests on full lees in small stainless steel tanks for most of another year. “We keep barrels for up to five years so we buy 20% of new oak each year. Bourgogne has 10% new oak, village has 15%, there’s 20-25% for premier crus, and 30% for grand cru (apart from Montrachet which is often one barrel). It’s been the same for the past twenty years. What’s important for us is to give the wine no more oak than it can take,” says Antoine. We tasted all the premier crus from 2012, and the grand crus from 2011. “2012 is not the easiest vintage to taste now, it has high dry extract,” Antoine warns me. Indeed, the wines are pretty reserved at the moment. The Puligny has faintly smoky notes emphasizing a mineral impression, but hasn’t yet developed that steely backbone of minerality that is the hallmark of Domaine Leflaive. Clavoillons (for which Leflaive has almost a monopole as the domain owns almost all of the Cru) shows some steel but is relatively muted, Folatières is dumb on the nose but more rounded on the palate than Clavoillons, Combettes (where there is only a tiny plot) has a more forward impression of stone fruits, and Pucelles is the knockout of the vintage, showing a delicate nose, smoky palate, and silkiness on the finish. The vines of Bienvenues Bâtard are the oldest in the domain, and the wine shows lovely citrus with notes of oak showing at the end, Bâtard Montrachet has more depth on the palate, and Chevalier Montrachet takes the prize for the most subtle mélange of citrus versus stone fruits, smoke versus minerality, fruits versus steel. It would be vinicide to drink any of these wines now, but if forced to choose one for dinner, I would have the Pucelles.